Finally some bright sun in the morning and I couldn't miss the opportunity to catch up on my morning yoga with the sun on my face! I never knew how much I can cherish the heat filtering through the windows and warming up my entire living space. Its so calming and just what I needed to overcome all the travel related anxiety that is gradually seeping in and I am praying I stay calm till I get to the airport. It's always weird whenever we vacation for Spring Break, because our closets are full of warm clothes and jackets and all kinds of mitts and socks and suddenly I am shopping for tank tops and flip flops!! It drives me nuts because, firstly, I can't find it in stores and secondly if it is in stock, its not in our size or the colors are not what we want. I usually don't like to hit the malls as soon as I visit a place but it seems like that is my only option. So anyways, I wanted to share this Wet Detangling Brush from Tangle Teezer with you all, especially those with long hair like me, because it can be stressful to brush out wet hair. I usually do not brush my wet hair, but over time, I learnt that if I want to avoid heat styling, my best bet is to brush my hair when wet and brush again when damp and then after a few hours. Of course, wet hair is more prone to breakage, but with this brush, things are looking quite good! I use this on my kids hair as well, because I never use a hair dryer on them and this keeps their hair looking smooth and frizz free. More on this in today's blog! I was really excited when I saw this new foundation on Sephora's website and since I am looking for a Spring foundation which needs to be dewy and fresh, I was naturally attracted to this. Also, it promises 15 hours of moisturization!! Like seriously! I need that stuffff!!! Now you know, I haven't had a great experience with Laura Mercier in the past because her products always break me out, I still wanted to try this out. I think I forgot my experience two years ago, when I tried the Flawless Fusion foundation and was left with itchy red spots on my face. Anyways, I tried the new foundation from Laura Mercier and I have a lot of swatches in this blog for you to compare it with my other foundation matches. Keep reading to find out if I like this one! Hope you all had a great start of the new year. I stayed very busy with my family and friends this time around and as much as I feel blessed to have great people around me, I wish the same for all of you. I missed blogging and sharing some amazing products with you, so today I am sharing a face mask from Herbivore. I had never heard of this brand, if it wasnt for Sephora and the sale season allowed me to splurge on this expensive product. This two ounce jar retails for C$60 at Sephora Canada and promises to to 'gently exfoliate, smooth, and resurface the skin' and it is recommended solution for acne, redness and pores. I have been suffering from all of this. Though my acne is under control but I still have some acne marks and scars to work on. So, I gave this mask a try and here are my thoughts. 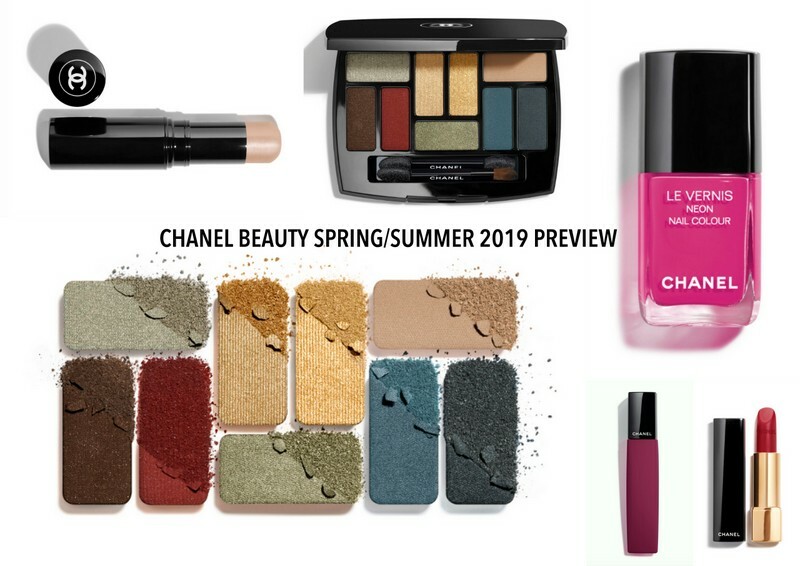 Chanel Beauty has its Spring 2019 collection on the US site and we Canadians still have to actually wait till it becomes available to us. The collection looks stunning to me, so I decided to share these with you. All images are from the Chanel Beauty US website and shared here only to keep a memory of what was available or previewed in the US at this time of the year, while I drool. So here goes the Spring 2019 Collection by Chanel. Chanel lipsticks are my all time favorites, because they always look great, no matter how I wear them and they last me a full day and the color range is very wearable too. They fomula is buildable and I have worn my Rouge Cocos everywhere in the world and it never melts in high heat, nor disappear in the humid weather. It always stays perfectly on me. So I wanted to try the luminous matte formula of the new Rouge Allure Velvets in the limited edition matte packaging. I actually wanted to just get the newer ones, but I couldn't resist stocking up on my favorite Rouge Coco in Mademoiselle. I have repurchased this several times and also reviewed on my blog. Check out my review here. Around six or seven years ago, I was really in to natural makeup and tried so many mineral makeup brands and even shared some on this blog. Gradually, I moved away from that because they were mostly available only online and I could never be sure if I got the right shade nor were there enough online swatches. So, recently I came across Burt's Bees natural makeup line, which is available at London Drugs and almost all drugstores. I was so excited to try it out, because I love using natural products on my skin. Each of these products is 100% natural except the brow pencil which is 99.9% natural. A lot of you must already be using the Burt's Bees lip balm and so was I but I never explore the body care or the skincare products from Burt's Bees and I was missing out on a lot! I literally found a solution to the eczema on my hands. I am also using the Hand Salve these days but will save that for another review. For review and swatches of Burt's Bees Natural Makeup collection, keep reading..